The Greater Bandon Association has named the August recipient of its Volunteer of the Month award. Nita Watson becomes the tenth winner of the award. 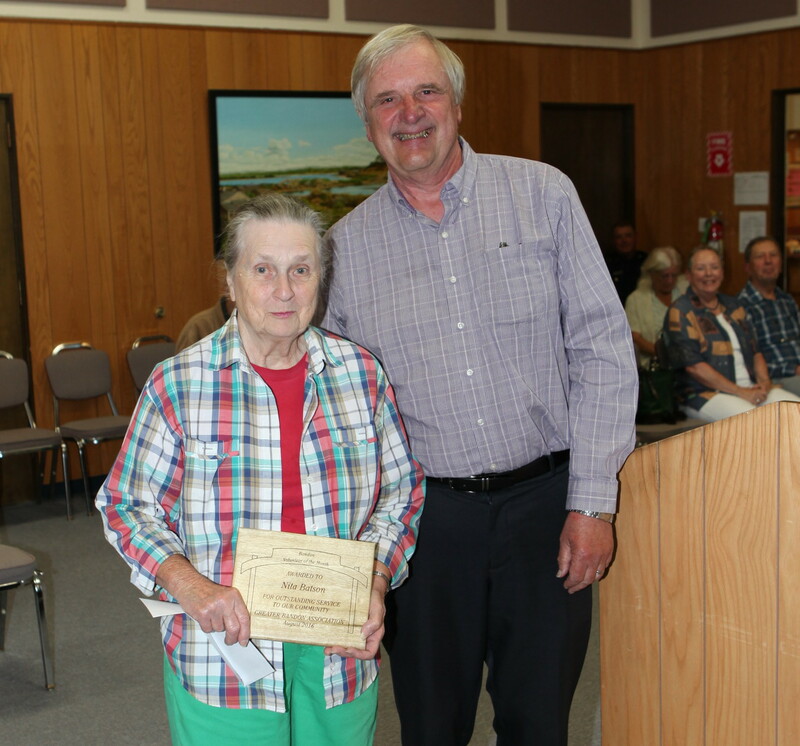 She was presented the award in form of a plaque and a gift certificate donated by Devons Boutique at the August 1st meeting of Bandon’s City Council. Nita has served for years as the dispatcher for Bandon Dial-A-Ride. She is also one of the City’s Support Services volunteers that patrol the streets each night assisting the police department and doing whatever they are requested to help the police and the community. And on Parade Day, for the Cranberry Festival for example, you will have seen Nita out there controlling and diverting traffic.